The winners of the ShowBoats Design Awards 2013, recognising the creative talents behind the finest superyachts delivered in the previous year, were announced in Monaco this past week. An awards ceremony took place at the beautiful Monaco Opera House, followed by a glamorous celebratory dinner at the Hotel de Paris. Fittingly, the night began with an exquisite operatic performancethe world-renowned soprano Mari Moriya. 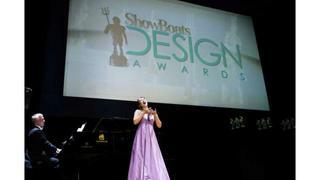 The night saw some yachts and their designers taking home prizes in multiple categories. This included the brain's behind the modern trimaran Adastra, with John and Orion Shuttleworth accepting prizes in the categories of Naval Architecture - motor yachts, a judges' commendation in Exterior Design & Styling Award – displacement motor yachts 30-59.99m and the newcomer of the year award for their first foray into superyacht design. Dykstra Naval Architects won two design awards for two different sailing yachts – they took home the Naval architecture Award – sailing yachts for the Holland Jachtbouw modern J-class yacht Rainbow, and they also won the Exterior Design & Styling Award – sailing yachts for the classically style Royal Huisman yacht Kamaxitha. Better Place also won her designers multiple awards, with Wetzels Brown Partners taking the Interior Design Award – sailing yachts and Holistic Design award.